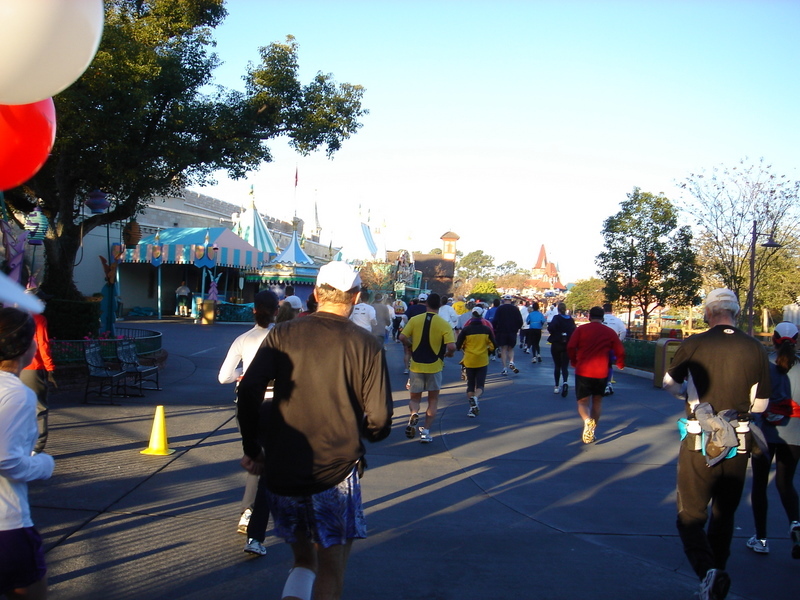 The Walt Disney World Marathon and Half Marathon are the premier running events in Orlando that take place around the first week of January each year at the Walt Disney World Resort and are always fully registered several months in advance. Among the serious runners that race the event each year to compete for race earnings and to qualify for other races (ie. Boston Marathon), there are also a number of participants that dress up as their favorite characters to run the event. Other participants choose to run both the half marathon and full marathon in consecutive days to obtain Disney’s Goofy Medal, because that is well, goofy. The half marathon is 13.1 miles whereas the full marathon is 26.2 miles. Runners that participate in the 5k, 10k, half marathon, and full marathon (48.6 miles total across four days receive the dopey medal). The Walt Disney World Full Marathon is the only full marathon that is held in Orlando throughout the year and is considered one of top races in the United States after the Boston Marathon, New York Marathon, Chicago Marathon, and the Marine Corps Marathon (Washington D.C.). Whereas the other marathons are mostly held earlier in the Fall to strive for the perfect temperature of not to hot, not to cold, that time of the year typically falls within January in Central Florida. The 26.2 mile race starts at Epcot and travels to Disney’s Magic Kingdom, then Disney’s Animal Kingdom, then Disney’s Hollywood Studios, and then back to Epcot. Along the way, you travel down the main arteries of each park, like Main Street USA in the Magic Kingdom, and through cast member only areas and around Disney’s Green Houses. This is definitely a race for Disney Aficionados that enjoy seeing parts of the property not normally seen by the public and there are definitely some bragging rights in letting your friends and family know that you have jogged to all four parks in just a few hours time. The half marathon that takes place the day before the full marathon starts at Epcot and travels through Disney’s Magic Kingdom and then back to Epcot. In 2006, I was fortunate enough to complete both the Disney World Marathon in January and the Chicago Marathon in October. The races are completely different in nature as the Disney race circles around their massive resort and the Chicago Marathon travels throughout the downtown and ecletic neighborhoods of the great city of Chicago. Whereas there are groups of supporters all throughout your race in Chicago, most supporters of the Disney race are at the theme parks themselves which actually only take up a very limited amount of the entire race. Most of the Disney race is on roads less traveled on the back roads of the property. I would state that both events are experiences of a lifetime and the Disney race is a great excuse to come and visit Orlando. It’s the only race that I know that starts out with fireworks and has characters cheering you on along as you race. The Walt Disney Marathon Weekend starts with the Disney Family Fun Run 5k at Epcot featuring Disney characters along the route on Thursday, January 7th, 2016 at 6:00 AM, a 10k race on Friday, January 8th, 2016 at Epcot at 5:30 AM, the half marathon on Saturday, January 9th, 2016 at Epcot at 5:30 AM and finally the full marathon on Sunday, January 10th, 2016 at Epcot at 5:30 AM. Registration packets continue to be available at the ESPN Wide World of Sports on Thursday through Sunday during the weekend of the event. Click Here for the official site of the Walt Disney World Marathon for more information and to view other events happening during the week. This entry was posted in Recreation and tagged annual events, disney world, foot race, january. Bookmark the permalink.